The “Homer” Special, originally uploaded by NiteMayr. Every Friday the office supplies us with treats, recently it has been Doughnuts and muffins. It used to be Bagels and Doughnuts. I preferred the bagels, as I could kind of justify eating them as they were “just bread”. 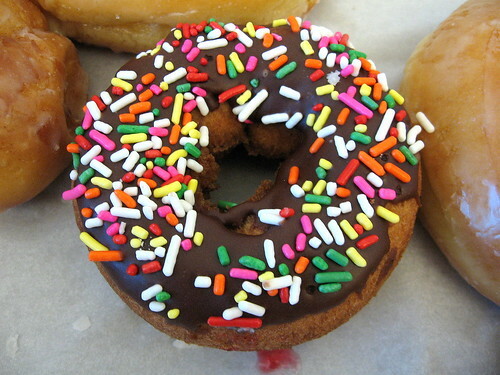 The doughnuts are a different kind of sin for me; so I try to avoid eating them. On a side note, I did something I haven’t been able to do for a while today, I bent from the waist and tied my shoes. Maybe I’m just limber today, but maybe I really am losing weight. I hope it’s the latter.